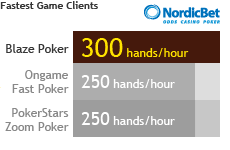 How big is NordicBet Poker? As part of the Microgaming Network, Nordicbet attracts over 1,500 cash games players at peak times, and more in MTTs. Microgaming is top ten non-ringfenced network - players are accepted from around the globe, with the exception of the US. 30% rakeback is good value for low to medium volume players, making Microgaming a popular choice for a second site. Loose EU players and fast fold poker format Blaze offer further value. Sign up via Rakeback.com for rake races and other promotions. 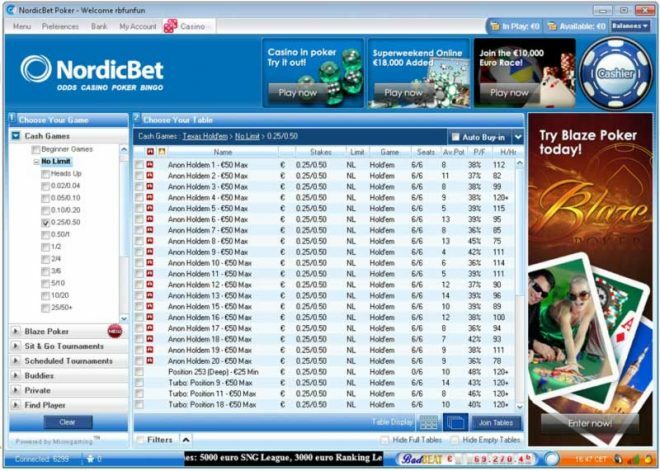 Clear cookies and access the Nordicbet website from the links on this page to lock in 30% flat rakeback and access to €50,000 prizepool rake races. 30% rakeback payments at NordicBet are paid out weekly on Mondays at 12:00 CET. You must rake a minimum of €30 to receive a payment. You don’t need to make any special requests — simply play poker and you’ll receive your rakeback automatically. NordicBet players can receive additional cash beyond the 30% rakeback by participating in the site’s rake races, SNG Leagues, or VIP tournaments with added cash and prizes. VIP Tournaments run every Monday at 20:00 CET, and are available for players who earned 700 or more Loyalty Points over the prior week. Loyalty Points are gained at a rate of 5 per $1 paid in rake, or the equivalent exchange rate for Euro Currency tables. 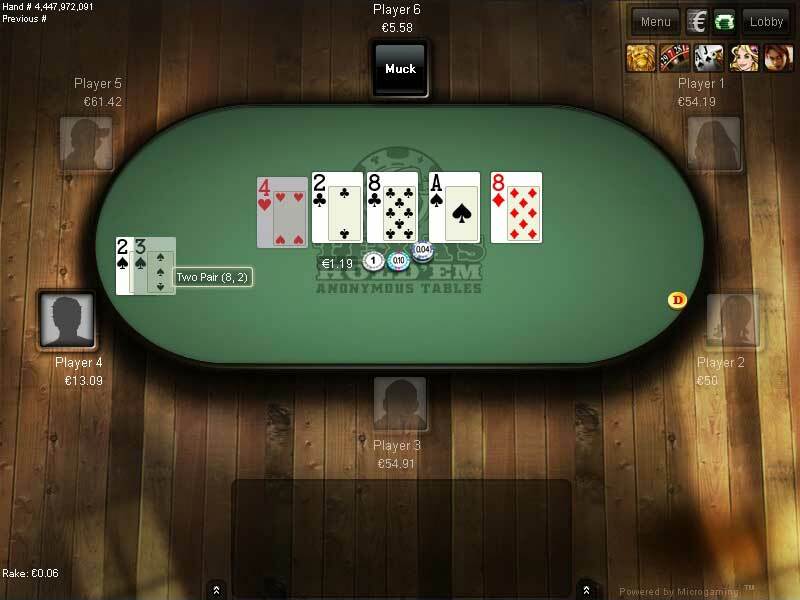 Loyalty Points can be spent on tournament buy-ins. Rake is 5% above microstakes. Rake is collected incrementally, e.g €0.01 per €0.20 in the pot. 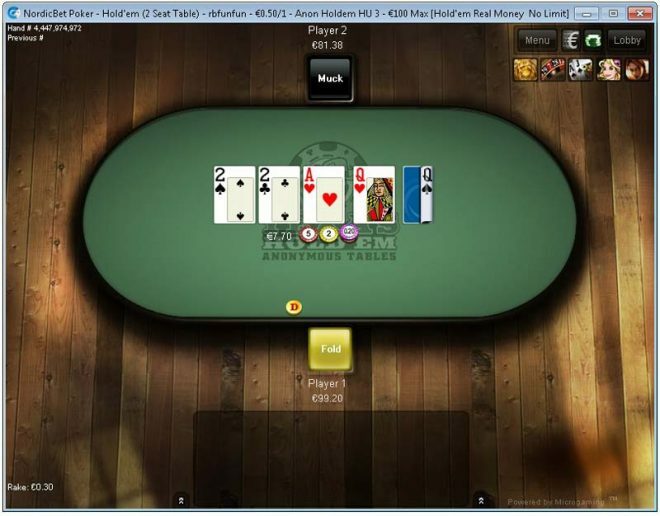 Fixed Limit Hold’em rarely runs on Microgaming, making rake data approximate. LHE players can find the lowest rake games on PokerStars, Unibet and Americas Cardroom (US facing). 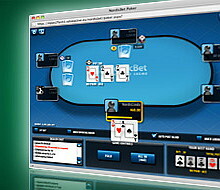 The software client allows players to partake in up to 10 tables at once. Mac compatible and in-browser software options are also available, alongside mobile and tablet play. Sign up now for 30% NordicBet Poker rakeback.